Your friend is getting married and you have no clue what to wear or what to buy? Fret not, Banarasee has you covered with their fairly priced gorgeous lehenga’s and sari’s. The folks at Banarasee strive hard to put forth the art of Varanasi to the global market. Their pastel shades, bright and deeps red make the fabric stand out. 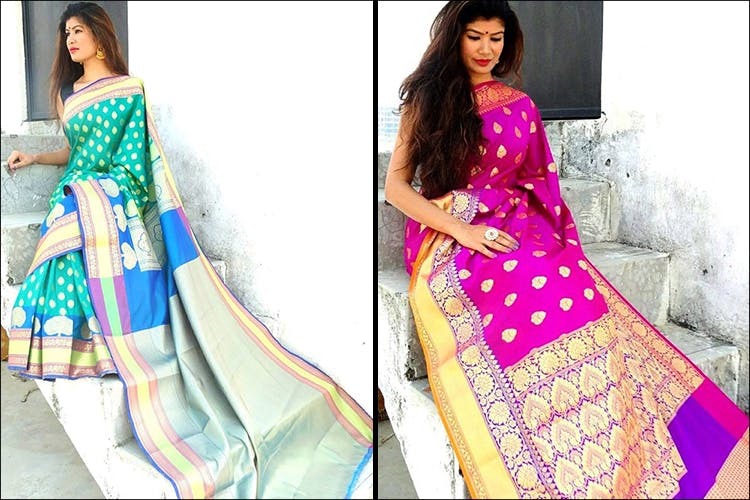 Since a Banarasee sari is on everyone’s wardrobe checklist, you should definitely check these designs and styles out. Apart from sari’s and lehengas they also have a variety of beautiful dupatta’s. Their cushion cover and bed covers also have an authentic, etnic touch, and can make your space look lovely. Their price for sari’s, lehengas and bed covers start from INR 5,000 and their cushion covers and dupatta’s start from INR 800 & INR 999 respectively. The next time you’re wedding shopping and are on a budget, visit their Facebook page and check out some authentic Banarasee clothing and bed linen.